Due to popular demand (which I cannot understand for the life of me), today’s piece will discuss chapters 4 and 5 in Karl Marx’s Capital, volume I. On the surface, these two chapters appear simple and in many senses unimportant. However, that would be erroneous to conclude. These two chapters clarify two important circuits that are essential to understand the capitalist economic system and to distinguish it from earlier modes of production. Trade and money existed before capitalism itself, so what distinguishes capitalism from ancient slave societies, feudalism, and pre-capitalist mercantile economies? In addition, Marx describes the different functions of money differentiating money as a unit of account or medium of circulation (circuit of commodities) from money in its role as capital (circuit of capital). 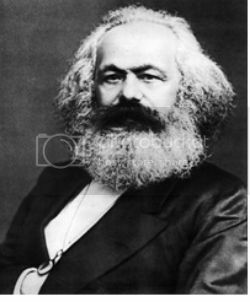 Additionally, these chapters introduce the notion of surplus value, the self-expansion of capital, and the notion of a transfer of revenue between capitalists as distinct from the creation of surplus value and end on a cliff-hanger before Marx’s explanation of the creation of surplus value which links his discussion in chapter 1 on the value of commodities to the labour process itself. All references come from Karl, Marx (1867) Capital Volume I, Penguin Classics, 1990. Doc passed away earlier this year. He is missed. This is the time of the year that I get creative in the kitchen, and almost all of what I prepare is given away to friends and family. I had hoped to be ready to ship tomorrow, but I got behind and will have to ship Tuesday. Perhaps too late for Christmas, but certainly not for the rest of the holiday season. I vary my menu year to year, but a couple of things are standard. One is Lizzies, a sort of fruit cookie that is reminiscent of fruit cake, except Lizzies are good. Another is chocolate fudge, with black walnuts. Both of these were always around during my childhood, because my mum loved everything about Christmas and was an excellent cook. There have appeared in this space several thought-provoking attempts to define capitalism, including here see and here see:. Although this might seem to some a mere academic exercise, nothing could be further from the truth: to be effective, activism to change, transform or overthrow any human construction must be rooted in a thorough and accurate understanding thereof. This is especially important when discussing capitalism, both because its pervasive ubiquity creates a familiarity that masquerades as understanding and because the defenders of the system work tirelessly to spew lies about its virtues. Even more treacherous than the increasingly strained defenses of the system by modern conservatives are the ideological productions of modern liberals who claim a desire to reform capitalism or ameliorate those of its consequences they don’t like. The key problem is that liberals and conservatives share the same basic understanding of capitalism, which is rooted in the neo-classical revolution in mainstream economics that occurred in the late 19th century. On this view, capitalism is a “natural” system arising from and based on market exchanges between buyers and sellers of commodities, which are assumed to maximize “efficiency” (defined in terms of allowing “supply” and “demand” to set market-clearing prices) and human happiness (defined as the total dollar value of market commodities bought and sold (GDP), regardless of what needs they meet or how they are distributed among the population). Thus the neo-classical view (like the classical political economy of Adam Smith and David Ricardo that preceded it) is fundamentally ahistorical: capitalism is understood not as a historically specific constellation of economic relations, but rather as the result of encouraging the supposedly natural human tendency to engage in market transactions on a competitive basis with the goal of maximizing profit. Even worse, the neo-classical assumption that the “market” is a naturally occurring phenomenon forces it to posit an Ideal Type Market-characterized by virtually unrestrained good-faith buying and selling backed up by rules to enforce the terms of transactions-against which historical social formations are measured by the degree to which they approximate the Ideal Type and can be called “capitalistic.” In this view there is of course no room for understanding how the historical economies of pre-capitalist social formations worked on their own terms, because those terms are assumed ab initio to represent flaws, deviations from the Ideal Type that maximizes happiness. And therein lies the reason that neo-classical economics provides an unstable intellectual foundation for capitalist reformism that unavoidably undermines any case for change, because all such reforms involve straying from the Ideal Type Market. That is why, in televised “debates” about regulation between conservatives and liberals, when the former extol the virtues of the market and call for “non-interference,” the latter start off the same way (Obama does this all the time) and then suddenly pivot to an argument that some specific reform represents an exception to the free market rule. Conservatives thus always come off as more intellectually consistent while liberals seem (and in fact are) intellectually muddled and confused-even when “the facts” seem to stand in their favor. We, however, are Anti-capitalists, and we need an understanding of capitalism that historicizes it as a system with a definite beginning and, therefore, a possible end. On the Third Day was the third album released by the band, issued 197311 in the US on United Artists and 197312 in the UK on Warner Brothers (they had previously been contracted to Harvest). It made #52 in the US but did not chart in the UK. Jeff Lynne produced the record and wrote all of the material with one exception, and you can tell that immediately. I did not think that it was a very good album, but that is just an opinion. That is not to say that it was a bad album, but I sort of hold a band like ELO to a higher standard. In all fairness, they had some stiff competition, since The Who released Quadrophenia that year, The Rolling Stones released Goat’s Head Soup, and Pink Floyd released Dark Side of the Moon! My Little Town 20130109: Not on Sunday! Those of you that read this regular series know that I am from Hackett, Arkansas, just a mile or so from the Oklahoma border, and just about 10 miles south of the Arkansas River. It was a rural sort of place that did not particularly appreciate education, and just zoom onto my previous posts to understand a bit about it. Back not that long ago there simply were things that could not be purchased on Sunday. In some areas this still exists, but only regarding the sale of alcohol. For example, in some places no alcohol in any manner can be sold on a Sunday, in others restaurants can offer it but not package stores, in still others only beer can be had on a Sunday, and in many there are no restrictions on the sale of alcohol. In Arkansas, until comparatively recently, there were LOTS of things that could not be offered for sale on Sunday under pain of prosecution. This was not confined to Arkansas, but it seems to have lasted longer there than in many places. Magnesium, with a Z = 12, is an extremely common element in the crust of the earth, but it is never found in nature in the elemental state. It is the second member, after beryllium, in the alkaline earth series of elements. It is above calcium in that same group, and has significant biological roles. As is the general trend for elements on the left hand of periodic table, magnesium is less reactive than calcium, just as beryllium is less reactive than magnesium. This is due to the fact that elements in the first and second columns have their electrons more tightly bound the higher in the column they appear because of less shielding from other electron shells. It has been a while since I started this series. My contributions here, and at my other regular blogs, have been quite spotty for a number of reasons. Part of it has to do with it having been the holiday season, and things get a bit odd then, but for the most part the holiday season treated me pretty well, except for when it did not. Another distraction, one that is absolutely necessary for me to do, is to work on cultivating my nascent consulting business. I write well, am a great scientist, and have skills that include things from analytical chemistry to health and safety expertise to technical writing to expert testimony. One of my friends that I met here who does consulting work has agreed to work with me over the telephone to assist me in establishing my business. Any others who might be able to help are strongly encouraged to pitch in as well, because I am sick and tired of feeling useless! In any event, it is time to get back to what I do well in this series, or at least I think that I do, and that is to provide embedded music, some historical background, and my commentary to bands that catch my interest. With this in mind, we shall look at the second effort from The Electric Light Orchestra, called ELO 2. In my opinion it is a very much better album than their debut one. The band had settled down a bit, and Jeff Lynne was very much in control, for good or ill, by then. Let us get started! I apologize for not being around much lately, but I have been busy doing Christmas baking and sorting out some personal issues. Monday I shipped off two boxes of goodies, one to the former Mrs. Translator for her and the two sons that will be able to spend time with her for the holidays, and the other to Eldest Son and his bride who are unable to come home for Christmas. There are some really good seasonal songs playing these days, and I shall share some of them with you tonight. Most of them are from my childhood, and many of them are from Goodyear’s Great Songs of Christmas, Volume 5 from 1965, so I would have been eight at the time. I rooted around through my vinyl and alas no longer have the record. Others are from different sources. I apologize for not being around the past couple of weeks. I have been busy with Christmas goodie baking and some personal matters. I shipped off a box of treats to the former Mrs. Translator on Monday for her to enjoy and share with Middle Son, Least Son, and their families. I also mailed out a box to Eldest Son and his mate since they are unable to come home this year. I have mentioned previously how much my mum loved Christmas. She loved wrapping the gifts, cooking the goodies and meals, and even buying the gifts. But most of all she loved to decorate the interior of the house. (The outside belonged to my dad to decorate.) A major part of decorating was the tree itself, but she did the whole downstairs as well. We never bought a tree (except for one of those three foot aluminum ones popular in the early 1906s on which she would hang the Christmas cards). We always went out and got our own. Before I was old enough to go, my brother and dad would go get one, usually from the farm. Later, after he married and moved away and I got older, my dad and I would go.